Who doesn’t love McFlurrys? 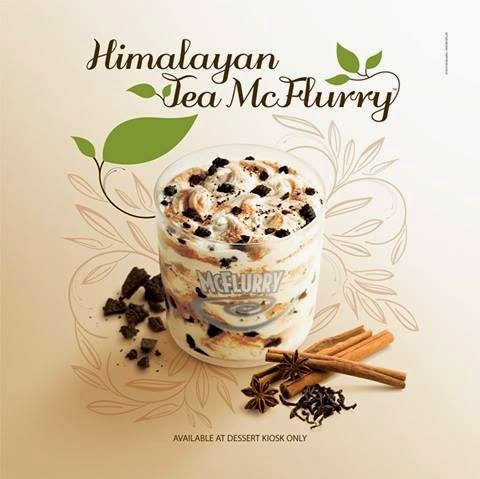 With the hot summer months coming up, a smooth vanilla McFlurry is all you need to quell that vicious summer heat. 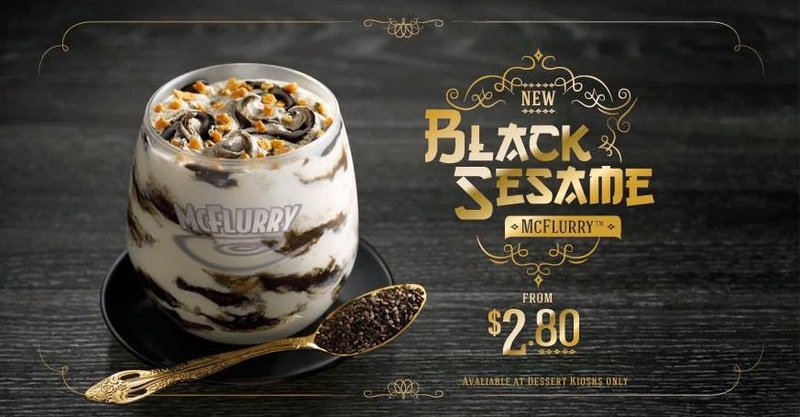 Inspired by our latest post where we ate a Horlick’s McFlurry in Penang, Malaysia, we set out to find the most badass McFlurry’s that you can’t get in the United States. Even though the Oreo McFlurry’s are damn good, we wanted to bring you some of the most exotic and drool worthy flavors we can find. Even if I can’t fully explain why McFlurry’s are good, they just are. It is kind of like asking “why is Kate Upton so amazingly hot?” So download your favorite Kate Upton image and hold onto your butts. 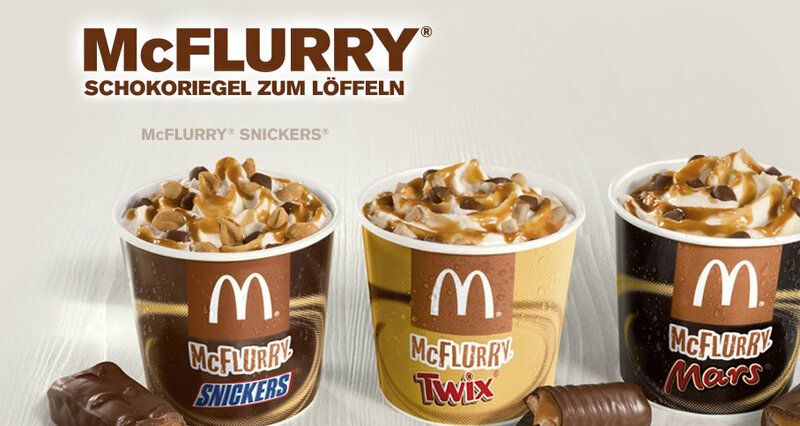 Because here are the most awesome McFlurry’s from around the world. Granted I hate durian since I can’t stand the smell and the texture. 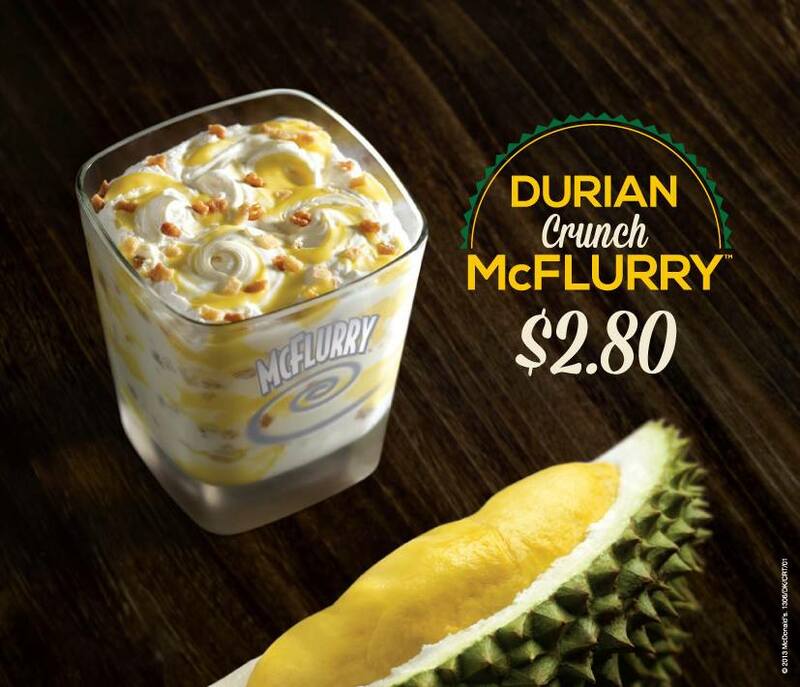 But, for them to make this local delicacy into a McFlurry, gotta give it up for McDonald’s market research department. Anyhow, only available in Southeast Asian countries. No word on whether you can bring it onto a public bus/subway. I can get behind this! Not to mention that purple color looks pretty nice. 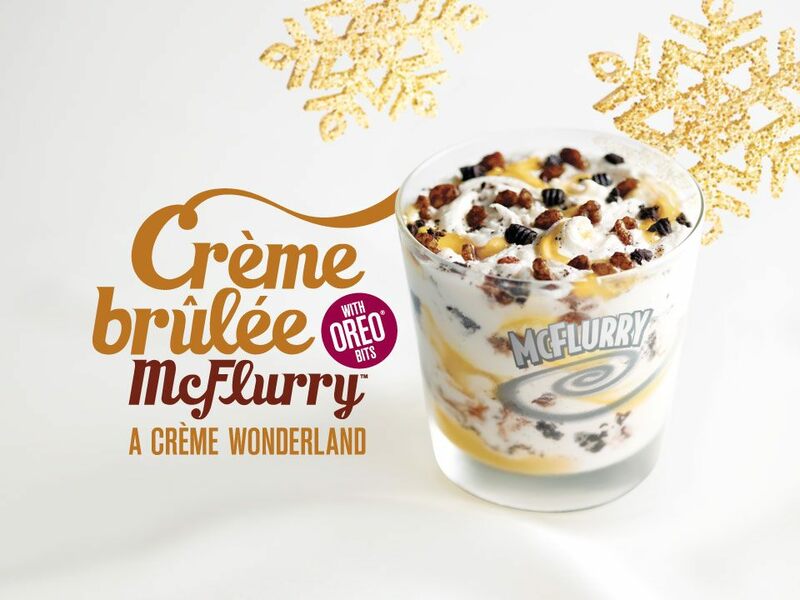 Sounds pretty posh-posh, but the fact it is a McFlurry, brings it right back to us commoners. Adding a destination to the name of any food instantly makes it more exotic and healthy. For instance, Belgian Waffles, New York Cheesecake, Phuket Donut. 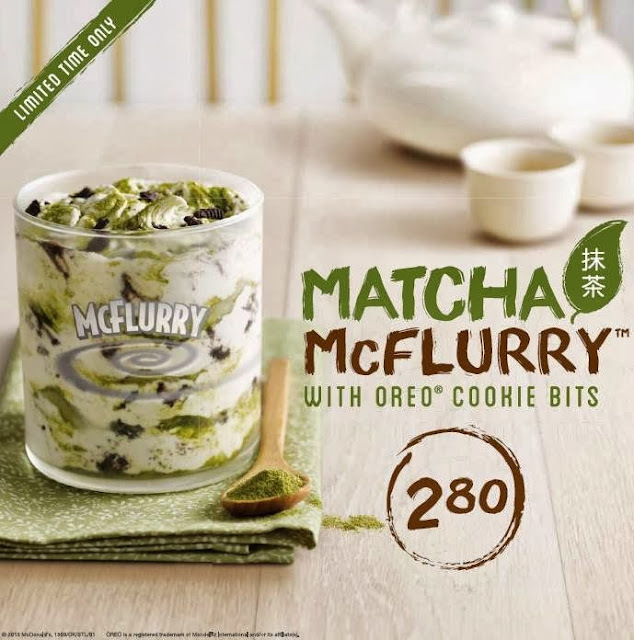 Extra points because it is also a “tea,” thereby, making this McFlurry 100% healthy. Right? And you thought creme brulee could not get any more awesome. If this doesn’t prove that someone is listening to our prayers, then I don’t know what will. At this point, pants are optional and belts are my enemy. 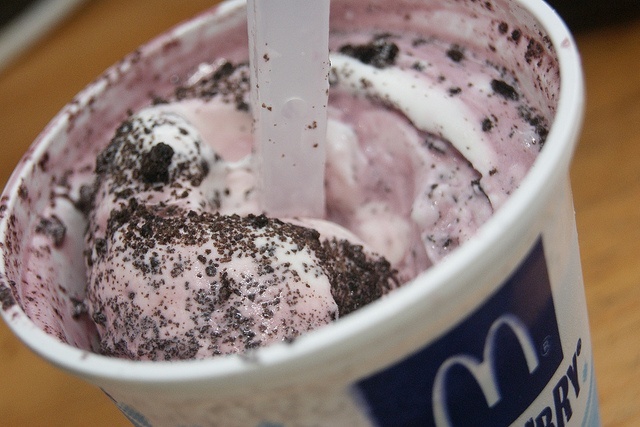 This is Chile’s version of the Oreo McFlurry but with a localized cookie/candy combination. Seems like you can’t go wrong when you mix chocolate candy with vanilla ice cream. It’s so ingenious. Seems like a perfect combination for the runs. 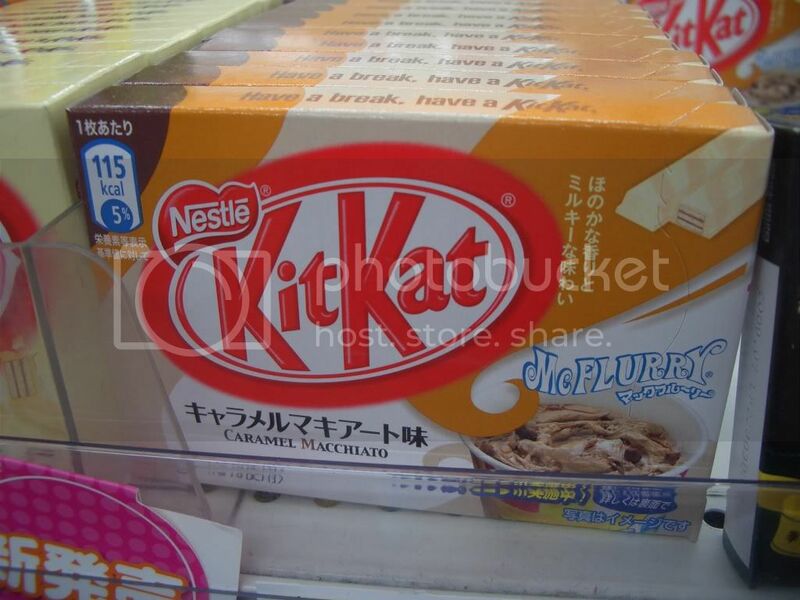 A McFlurry flavored Kit Kat. It is like an alternate dimension. Oh wait, no, its actually Japan.